A collection of necklaces and rings made of silver and gold. 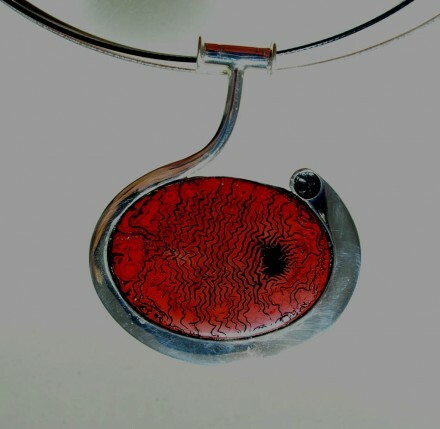 The central part of the necklaces were adorned with urushi, rank-ku and galuchat techniques (made by Louise Larena). Location: Fine American Craft Gallery in the framework of the SnagIt Conference. Denver, Colorado (USA).